Carrying out a commercially available 21-gene test on patients' breast tumors could allow more than two thirds of women with the most common type of early breast cancer to avoid chemotherapy, according to data from a landmark study published yesterday. 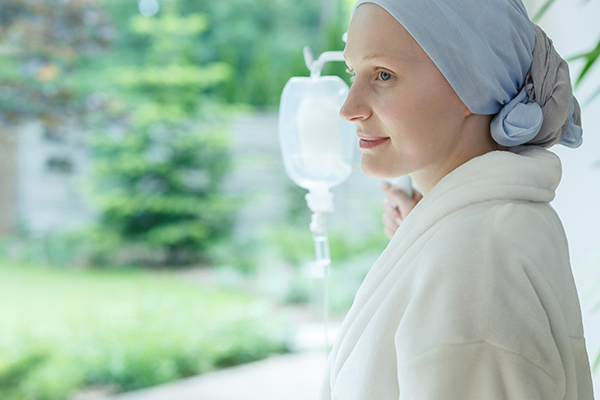 Results from the prospective study, called Trial Assigning Individualized Options for Treatment (TAILORx), showed that for women whose tumors are hormone-receptor–positive, human epidermal growth factor receptor 2 (HER2)–negative, axillary node–negative, and generate intermediate scores on the 21-gene Oncotype DX recurrence-score assay, hormone therapy was just as effective at preventing disease recurrence as hormone therapy plus chemotherapy. The 21-gene recurrence-score Oncotype Dx assay is one of several commercially available gene expression assays that can offer prognostic insight in hormone-receptor-positive breast cancer. The test scores the tumor from 0 to 100, with a high score—26 or above—indicating that chemotherapy will improve therapeutic efficacy, and a low score—10 or under—suggesting a very low likelihood of distant recurrence at 10 years, which is unlikely to be affected by adjuvant chemotherapy.